Following up on Part 2, it’s time to talk about the output stage. This output stage is the brainchild of my friend Kostas, all I did was lay out the PCB. 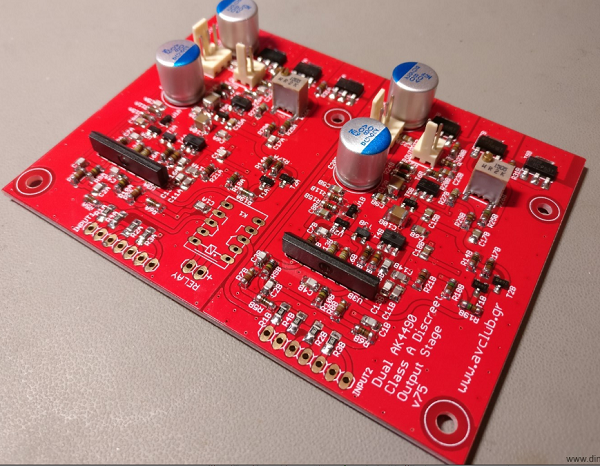 It is a fully discreet single-ended class-A output stage, outputting ~2.4V RMS. More details on Dimdim’s blog. If you missed part 1 and part 2, be sure to check it out.